Mother’s Day or Día de la Madre is celebrated on the first Sunday of May (7 May 2017 this year) in Spain. Before the Mother’s Day arrives, school children prepare gifts for their mothers with the help of their teachers. Family members, mostly children give gifts to mothers and this day brings the whole family together. As May is the month dedicated to the Virgin Mary (mother of Jesus), Mother’s Day is celebrated on May. Mother’s Day is a day dedicated to knowing the value of our mothers in life. It is celebrated in order to make them happy and to express our gratitude for their efforts. One of the most popular ways of people to celebrate Mother's Day is giving their mother a card and a bouquet of flowers. As it is a holiday, some people prefer to go out for a picnic to celebrate this festival. In schools, kids dedicate poems to their mothers and also perform various roles on this day. Anna Jarvis is recognised as the Founder of Mother’s Day in the US. Though Anna Jarvis never married and never had kids, she is also known as the Mother of Mother’s Day, an appropriate title for the lady who worked hard to bestow honor on all mothers. Anna Jarvis got the inspiration of celebrating Mother’s Day from her own mother Mrs Anna Marie Reeves Jarvis in her childhood. An activist and social worker, Mrs Jarvis used to express her desire that someday someone must honor all mothers, living and dead, and pay tribute to the contributions made by them. A loving daughter, Anna never forgot her Mother’s word and when her mother died in 1905, she resolved to fulfill her mother’s desire of having a mother’s day. Growing negligent attitude of adult Americans towards their mothers and a desire to honor her mother’s soared her ambitions. Anna sent Carnations in the church service in Grafton, West Virginia to honor her mother. Carnations were her mother’s favorite flower and Anna felt that they symbolised a mother’s pure love. 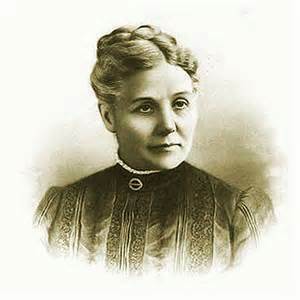 Later Anna along with her supporters wrote letters to people in positions of power lobbying for the official declaration of Mother’s Day holiday. The hard work paid off. By 1911, Mother's Day was celebrated in almost every state in the Union and on May 8, 1914 President Woodrow Wilson signed a Joint Resolution designating the second Sunday in May as Mother's Day. With the Mother’s Day spirit spreading all over the world over time, it becomes a formal day to honor our mothers even once a year. As LolaFlora, we have prepared a special collection for Mother’s Day celebration. Check our special gift list and make your mother's day on this very special occasion!